Kawasaki has started accepting pre-bookings for the supersport for a token amount of Rs 1.50 lakh. However, the bookings will only be open till 30 November 2018. Kawasaki has stated that the first lot of the motorcycle will be made available in limited numbers. Hence, if that number is met earlier than expected, the bookings may be closed well before the November 30 deadline. The 2020 ZX-6R will be brought here via the CKD route, just like its bigger brother - the Ninja ZX-10R. 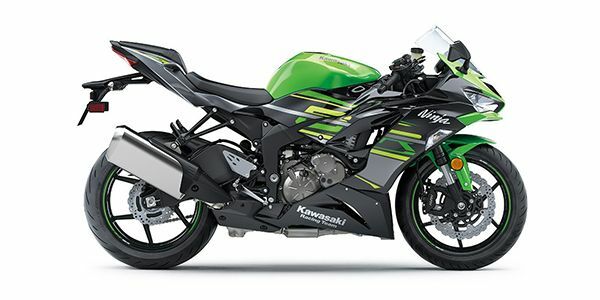 Kawasaki Ninja ZX-6R prices start at Rs. 10.49 lakh (Ex-Showroom). Kawasaki Ninja ZX-6R is available in 1 variants and 1 colours. Share your experiences with Ninja ZX-6R? Q. Is it comfortable for 5.4 ft to 5.6 ft height person? Between these two bikes, Suzuki Hayabusa has an upper hand in terms of power, comfort and reliability. Do take a test ride in order to judge your riding comfort. Q. What would be the maintenance cost and mileage of the bike? Q. Does the bike have twin exhaust and is it better than the ninja 1000? Kawasaki Ninja ZX-6R & The Daytona replacement?